We spend all year thinking about it, a couple of months arguing over it, and countless hours tabulating your votes for it. Here is our list of Maine’s Best Food & Drink for 2017. How’d your favorites do? 36 Limerock St., Camden. 207-323-5793. If you point Google Maps to the address above and arrive to find a nice little Cape Cod with a pretty garden that is clearly someone’s private home, please hold off on sending us angry Facebook messages. Cake wizardess Megan Murphy sells her beautiful little small-batch treats right out of her detached garage — an adorable space, clean and white, with French doors — on Saturday mornings between Memorial Day and Labor Day. From 8 a.m. until everything’s sold out, patrons line up for luscious little cinnamon brioche buns, fruit tarts, cookies, and scones. Murphy’s one-woman micro-bakery also takes cake orders throughout the year, and her creations — vanilla buttercream, chocolate mocha, lemon berry streusel — are genuine works of art. 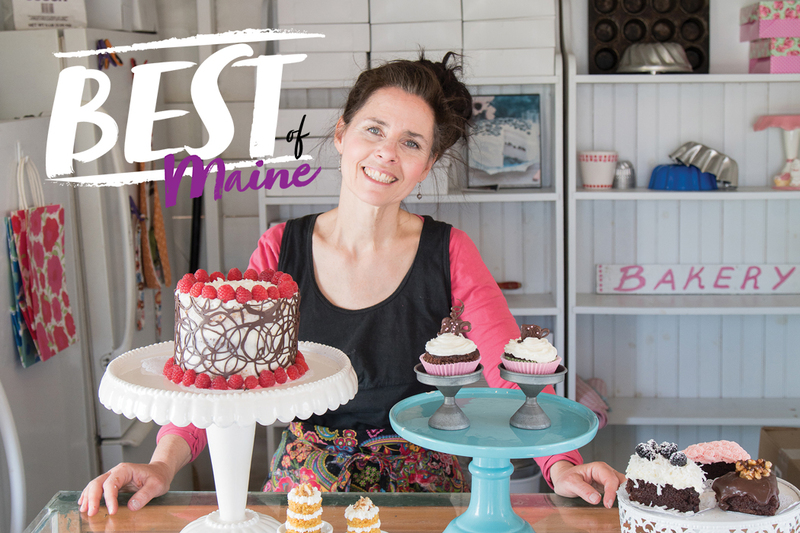 We love the place because we love frosting, but also for the glimpse it gives of what it often takes to succeed in Maine doing what you love: creativity, hard work, and a willingness to improvise. Did you know Unity is on the way to pretty much anywhere you want to go in Maine? Either that or we’re just finding excuses to detour so we can stop at Charcuterie of Unity for delicious dried sausages, bacon, and smoked cheese made by Matthew Secich, a former four-star-restaurant chef who joined Unity’s Amish community a few years back. He and his wife, Crystal, staff a simple cabin-turned-butcher-shop, where ropes of kielbasa, andouille, chorizo, and smoked mozzarella hang temptingly from hooks above the counter. Lanterns provide the illumination, and the Seciches use a hand-powered slicer to cut ham, sweet beef bologna, and other goodies. Their three kids come and go, often pitching in to ring up orders on a hand-cranked cash register. It’s always a pleasure to visit their good-natured, family-run shop — and impossible to leave without a bag or two of their irresistible wares. 11 locations in Greater Portland and Brunswick. 650 Main St., Rockland. 207-596-2449. Three locations in Greater Portland. 1447 Five Islands Rd., Georgetown. 207-371-2990. 41 Water St., Wiscasset. 207-882-6128. Pemaquid Oyster Co. Inc. 7 Creek Ln., Damariscotta. 207-446-8923. 123 High St., Belfast. 207-338-2532. 15 Farm View Dr., New Gloucester. 207-688-4539. 174 Lower Main St., Freeport. 207-865-4071. 6 locations in Portland, South Portland, and Yarmouth. Five locations in Greater Portland. 207-879-2233. 345 Fore St., Portland. 207-747-4901. 4 Canal Plaza, Portland. 207-761-2437. 50 Industrial Way, Portland. 800-330-5385. 16 Osprey Pt. Rd., Newcastle. 207-563-2669. 11 Ricker Hill Rd., Turner. 207-225-6165. 244 Front St., Bath. 207-442-8345. Primo. 2 Main St., Rockland. 207-596-0770. 1885 Atlantic Hwy., Waldoboro. 207-832-7785. 367 Youngtown Rd., Lincolnville. 207-763-4478. Thompson’s Point, Portland. 207-536-7700. 277 Pleasant Hill Rd., Brunswick. 207-729-1112. Locations in Auburn, Manchester, Old Orchard Beach, and Sabattus. 9 Custom House Wharf, Portland. 207-775-0251. 163 Port Rd., Kennebunk. 207-967-8304. Big year for Lopez, the inventive pastry chef and co-owner (with husband Damian Sansonetti) of the Northern Italian–focused Piccolo (almost four years in, still one of Maine’s most consistently excellent eateries). First, the couple took over the West End café Caiola’s, where Lopez churned out, among other things, to-die-for coffee cakes (Nutella! rum raisin!). In February, as the pair shut down Caiola’s in advance of a rebrand, Lopez was named a James Beard Award semifinalist, one of the country’s 20 most outstanding pastry chefs. Did the judges try her struffoli funnel cake with fennel, honey, orange, and salt? Or stop at Piccolo on National Pig Day for a “pork sundae” of sublime gelato with pork-caramel sauce? At press time, Lopez and Sansonetti were prepping to reopen the Caiola’s space as Chaval, a casual, Spanish-influenced neighborhood place. We’re ready to be blown away by churros and flan. You can’t come home from your Maine vacation empty-handed, and the squat little jars from Ellsworth’s Bleuberet Artisanal Foods pack and ship super easily. The Waters family, longtime Maine summer folk, started selling three or four varieties of their blueberry jams at Maine farmers markets in 2013; this April, their much-expanded line of jams, relishes, and sauces earned an admiring shout-out in the New York Times. The NYT writer rightly praised Bleuberet’s wild Maine blueberry, lemon, and lavender spread ($11). We’re also partial to the blueberry and gooseberry mash-up ($13), one of the many special small-batch jams the company releases throughout the year. 237 Main St., Norway. 207-739-2126. 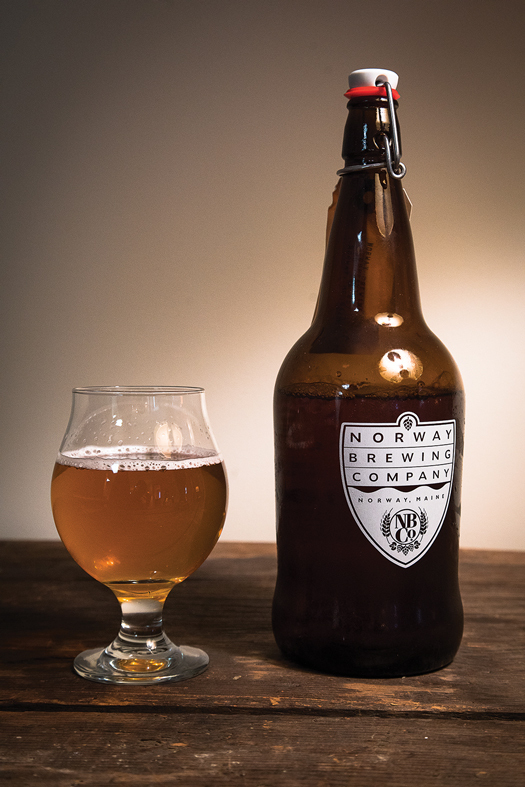 At the breakneck pace of Maine brewery openings, a place that just celebrated its first anniversary might seem like old news — but if any brewery truly hits its stride that soon, kudos are in order. From a tart Berliner weisse to a juicy IPA, the lineup at NBC is interestingly varied and consistently awesome. 11 Atlantic Ave., Brunswick. 207-504-5133. After the Brunswick Naval Air Station closed in 2011, it took six years for anyone to realize that one of the industrial-style buildings would be perfect for making — and consuming — beer. Since opening in March, Flight Deck’s sleek interior and sunny patio have been inspiring jam-packed, lively affairs. Mott the Lesser, Tributary Brewing Co.
10 Shapleigh Rd., Kittery. 207-703-0093. When Tod Mott moved from Portsmouth Brewery to his own joint in Kittery, he brought his recipe for the imperial stout that Beer Advocate once ranked the second-best beer in the world. But he only produces two 1,500-bottle batches a year (each patron gets two bottles). Show up late and release day can be heartbreaking. Stowaway IPA, Baxter Brewing Co.
130 Mill St., Lewiston. 207-333-6769. Maybe you’re headed to the beach or going hiking and, oh man, wouldn’t a cold one really hit the spot on the sand or at the summit? Sure, any gas station will have Bud Lights or Coronas — but also probably sixers of Stowaway. The black-and-orange cans are as ubiquitous as the beer is citrusy-piney delicious. 49 Main St., Damariscotta. 207-563-6498. Your grill wants you to visit this year-old downtown Damariscotta meat emporium, where August Avantaggio and his staff offer up not just terrific sausages and various cuts of beef, lamb, and pork (much of it local), but also prepared foods like knockout hand pies and roasted chickens, a selection of stocks and broths, and a nicely curated cooler of Maine beers. Regulars queue up for the so-very-juicy bacon burgers — house-smoked bacon ground into fresh chuck — and the cheddarwurst comes highly recommended by one native Wisconsinite on the Down East staff. And since the shop is adjacent to the Fisherman’s Catch Seafood Market, you’re covered for both surf and turf. See our editors and contributors defending our favorite picks. 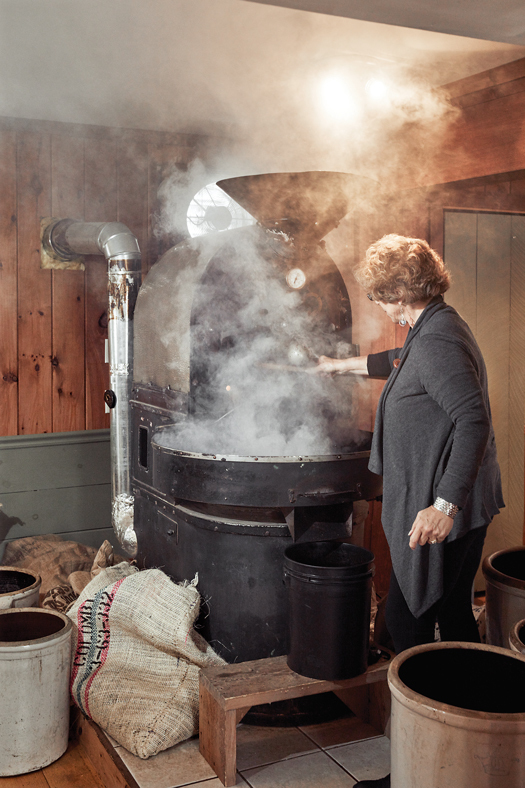 See more of this year’s Best of Maine!